Below, you will find our most recent Haliburton real estate listings. Click on the photos to see more pictures, full descriptions, and location maps for each available listing. 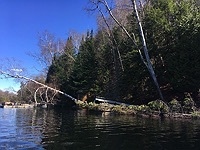 If you would like more information about these properties – or any other property in the Haliburton Highlands – please feel free to contact us. SOLD! - Halliburton Village - 3 bedroom home on large lot right in the heart of the Village. SOLD! 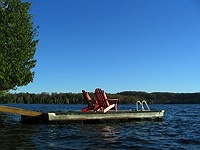 - Miskwabi Lake - 4-season cottage, 3BR + den, 160' clean shoreline, big lake view. SOLD! - Long Lake - Country cottage with exceptional privacy on 2-lake chain. SOLD! 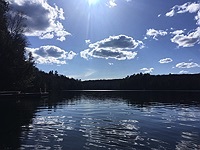 - Miskwabi Lake - Home or 4-season cottage with deeded access to 2-Lake chain.